Get rested and ready for anything at our Comfort Suites hotel in Gulfport, MS. Our smoke-free hotel is close to several local attractions, including De Soto National Forest, Ship Island Excursions, Deep Sea Fishing Rodeo and mississippi Coast Coliseum and Convention Center. Each guest can enjoy our hotels free WiFi, free airport transportation, indoor heated pool, fitness center and free breakfast. 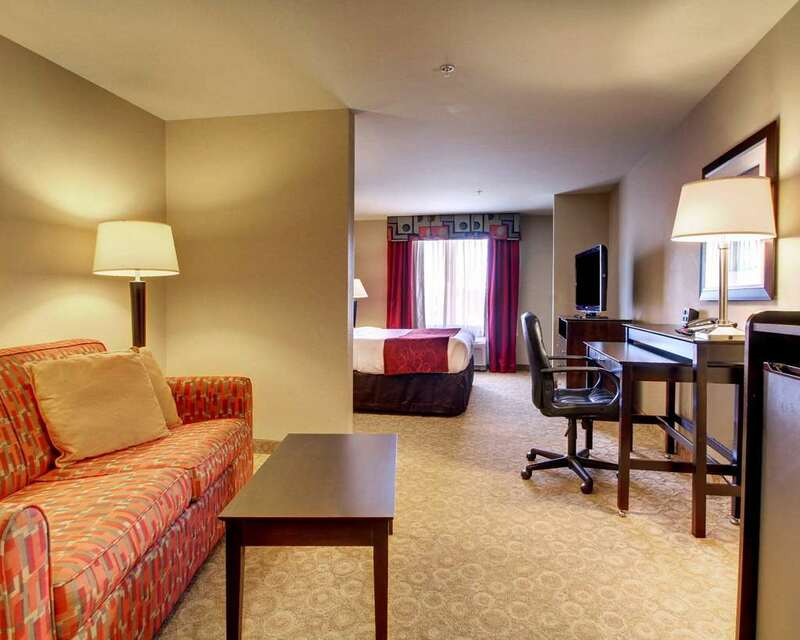 Each guest room comes equipped with a flat-screen TV, hair dryer, coffee maker, microwave and refrigerator. Sign up today for our Choice Privileges program and start earning rewards with your next stay.